Written whilst Account Director at RedEye and still very relevant today. This easy-to-use guide maps out the step-by-step process to personalisation for today’s digital marketers. You want your marketing to be more personal, engage your audience and stand out from the crowd. You know you need to understand and segment your data to achieve this, but how can you make these big tasks achievable? (And on top of the day job!). 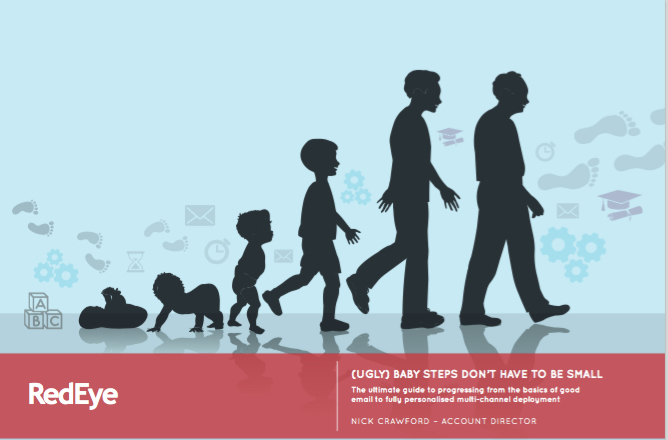 Let me walk you through this guide which sets out a six phase development plan, from the basics of good email to fully personalised multi-channel deployment.